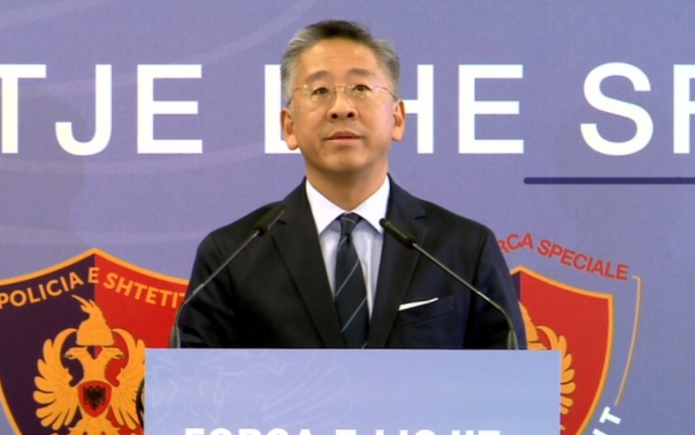 US Ambassador Donald Lu also spoke today about Albanian politicians, the opposition, the theater and the new justice bodies. In the "Real Story" show of the journalist Sokol Balla, Lu said that he does not understand the Albanian politicians, but he understands very well the Albanian people and that when he left Albania he would not follow the news anymore, as they cause headaches to him. "Even if I had to live here in Albania for a hundred years I would never understand the Albanian politicians. But I think I understand well the Albanian people. When I leave from here I will never follow the Albanian news, I will not see them, I will not read them. The news in Albania gives me headaches," said the US ambassador. As for the new justice institutions, Lu said that it will be a reality within a few months. "You have no choice. KLP and KLGJ will be set up in the coming weeks. SPAK and BKH will become reality in the coming months, regardless of whether or not we are here," said Lu. Regarding the law on theater, Donald Lu said there should be no room for corruption. Meanwhile, the US ambassador also showed his advice to the opposition. "I have advised all my friends who work in the Democratic Party, and recently in the SMI, that it is very important for the opposition to have a united front," he said. But there was also a 'bomb' for the main political forces in the country. "If I were a member of the SMI, DP or SP, I would wonder why their leaders can not have direct communication with US leaders but have to pay for it by using these lobbyists?" Said Lu.